A large ongoing Metal detecting clubs directory list! On this page, you will find in alphabetical order a list of areas with known UK metal detecting clubs near you in that area. If you know of any more metal detecting clubs, or even run one and want it to be featured on this page then please leave me a comment below and I will add your club listing for FREE. So if you are looking to join a metal detecting club then hopefully you will find all of the information you need right here. Meetings for the Wessex Metal Detecting Club are held at the Conservative club, Newbury on the 1st and 3rd Wednesday of every month. Join and contact the Berkshire detectorists club via their website. You can join the Central Searchers MD club by visiting either their website or their Facebook group. They are an internet based group but hold digs in Buckinghamshire often. Meetings for the Phoenix metal detecting club are held on the last Thursday of every month from 7.30pm to 8pm at Peterborough Sports and Social Club Lincoln Road. You can contact Ramsey Metal Detecting club via their Facebook group page. As far as I am aware there may be a waiting list. Meetings for SNADAC are held every other Tuesday at the Hyde Park Public house, New Street, St Neots. You can contact the club via their website. South Lancashire & Cheshire Metal detecting club holds a Club Members meeting first Wednesday of each month at St Michael’s Parish Centre, St.Michael’s Road, Ditton, Widnes, WA8 8TF at 8 pm and run until approximately 10 – 11 pm. Founded in 1978 by Brian Cross, they are a large and successful metal detecting club. You can contact them via email. The West Kirby Metal Detecting club meets at 7:30 pm on the first Thursday of the Month at the Royal British Legion Club, Withens Lane, Wallasey, Wirral, CH44 1BB. You can contact them via email or their website. The Crewe & Nantwich metal detecting Society meets on the fourth Tuesday of each month at the Crown Hotel, High Street, Nantwich CW5 5AS with meetings beginning at 7.30 pm and finishing at 9.30 pm. There is a waiting list at present, you can contact the club via their website or email. The Mid Cornwall History Hunters hold a meeting every third Monday of the month at 7.30 pm and usually held at the Victoria Inn, Roche, Saint Austell PL26 8LQ. You can make contact with them via their website, telephone or Facebook. The Dunelme metal detecting club meets every other Wednesday at the Eldon Arms Hotel, Ferryhill Station, County Durham DL17 0AW. For membership enquiries, you can contact them via email. Meetings for the K&DMDC are held at The Cross Keys, 1 Park Rd, Milnthorpe LA7 7AB, on the last Thursday of the month at 7.30pm and the meetings start at 8 pm. You can contact them via the contact form on their website. Torbay Metal Detectors club covers the three times of Torquay, Paignton and Brixham in the southwest of England, they also visit sites all over Devon. No meeting information is available for the Weymouth & Portland Metal Detecting Club, however, you can contact them via email or the contact form on their website. You can find all of the necessary information on their informative website. To get in contact with the club please use the contact page on the website provided below. Club meetings are held every two months at the Taynton Parish Room, Gloucester, Gloucestershire, GL19 3AN. The Taynton Metal Detecting club have at least one organised dig a month, a minimum of 20 per year, usually approximately 35. The club also has extensive open sites which are available to all full members throughout the year. Memberships are limited to 25 and turnover is low. You can contact them regarding new memberships via email. Yearly annual membership fee applies for the Weekend Wanderers you can contact them by email or by telephone for more information. The Herts & District Metal Detecting club is at maximum capacity and is not taking on new members at present, you can, however, be put on a waiting list. They also offer a free recovery service in Hertfordshire for lost items. Contact can be made with the Herts & District metal detecting society via their website. The club is at maximum capacity at the moment, however, you can still contact them at their website and ask to be added to the waiting list. There is no information on how to join the West Kent Detector club, they do have a website and Facebook. You could contact them via the contact form on there or message them on Facebook. The Invicta Seekers meet monthly, at 7.30 pm on the second Tuesday of each month at the Ashford International Sports and Social Club. 181 Beaver Rd Ashford TN23 7SG. Applications to join the club should be done in person at the meetings. You can contact them via their Facebook group. The Loughborough Coin & Search Society hold a meeting on the first Thursday of every month at the Rosebery Medical Centre, Rosebery Street, Loughborough, Leicestershire, LE11 5DX. The club currently has a waiting and list and to be added you will need to contact them via the contact form on their website or on their Facebook page. The Scunthorpe Metal detecting club holds their meetings on the second Monday of every month 7.30pm at the Foxhills Club, DN15 8LQ. Meetings are held on the first Monday of every month at 7.30pm at the Staff Of Life, West End, Sutton In Ashfield, Nottinghamshire, you can also contact the Ashfield Metal Detecting club via email or their website. Not much information can be found on the Warsop Metal Detecting club other than an address and telephone number. The Kings Lynn Metal Detecting Club holds meetings on the second Monday of the month in the Workers Club, Church Street, King’s Lynn, PE30 5EB usually starting at 7 pm. You can contact them about memberships by either telephone or email. There is no information on club meetings or how the membership process works. You can, however, contact them via a contact form on their website. The Three Spires Search Society holds meetings on the first Tuesday of every month at 7.30 pm. There is no information as to where they hold their meetings. You can contact them by joining the forum on their website. The Ipswich & District Detector Club hold club meetings on the last Tuesday of every month at 7.30 pm at the Rosary Conservative Club, 172 Bramford Road, Ipswich, IP1 4AB. To find out more you can visit their website or call the club chairman David Cummings. The Surrey Searchers Metal Detecting Club holds meetings twice every month, and hold as many as 3 digs a week. To contact them regarding memberships you should email the club secretary. The Trowbridge & District metal detecting club hold a meeting every month, the date, time and location is announced on their website. You can make contact with them via their website, or telephone or email Sue for new memberships. To make contact with the Doncaster Metal detecting club you can contact them via email. Founded in 1977 the Scottish Detector Club is Scotlands oldest club. The club meets on the first Monday of every month at 7.30 pm at the Jewel Miners Welfare Club, Bowling Pavillion, 56 Duddinston Park South, Edinburgh, EH15 3LJ. You can get in contact with the club by emailing the club secretary. Gwent Metal Detecting Club holds their monthly meeting on the 1st Tuesday of every month at the RAFA Club, Greenhill Road, Cwmbran, Gwent, NP44 3DQ at 7 pm. They were founded in 1977 and has grown to approximately 150 members. You can contact them via their website. Cardiff Scan Club meets at 7.30pm on every second Wednesday of the month at the Victoria Park, 422, Cowbridge Road East, Canton, Cardiff new members are always welcome. You can contact them via their website contact form. The Swansea Metal Detecting club meet every other Wednesday at the Coopers Arms, Neath Road, Plasmarl, Swansea, SA6 8JU. Contact them via their website contact form. Paul Howard was the founder of the nationwide Metal Detecting society “Let’s go digging” they organise rally events nationwide. To join you can contact them via Facebook or their website. A largely popular metal detecting event organiser with over 7000 members on their Facebook group. 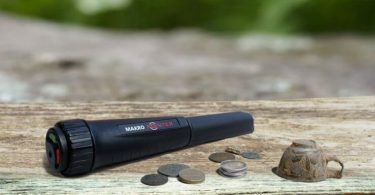 Jason Massey is the main point of contact for this wonderful metal detecting club. The metal detecting club is for armed forces veterans and was created initially as a form of therapy for PTSD. A very friendly group with nationwide events and rallies. The Metal Detectives organise various metal detecting digs around the South of England. If you would like to become a member of the Metal Detectives group then you should visit their website. They run regular digs on Wednesdays, Saturdays and Sundays. They also hold 4 – 6 weekend events lasting 2 to 3 days long. A very well organised and helpful metal detecting club. Are there any clubs in or near WOLVERHAMPTON please? Did you get any permissions.I am in Coventry too.Looking myself a year later. Contact Info and Club details via Web Site Link. Hi looking to join or information on my nearest club. I live near Forfar Angus. 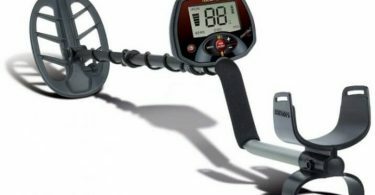 I would like recommendations on purchasing a metal detector.